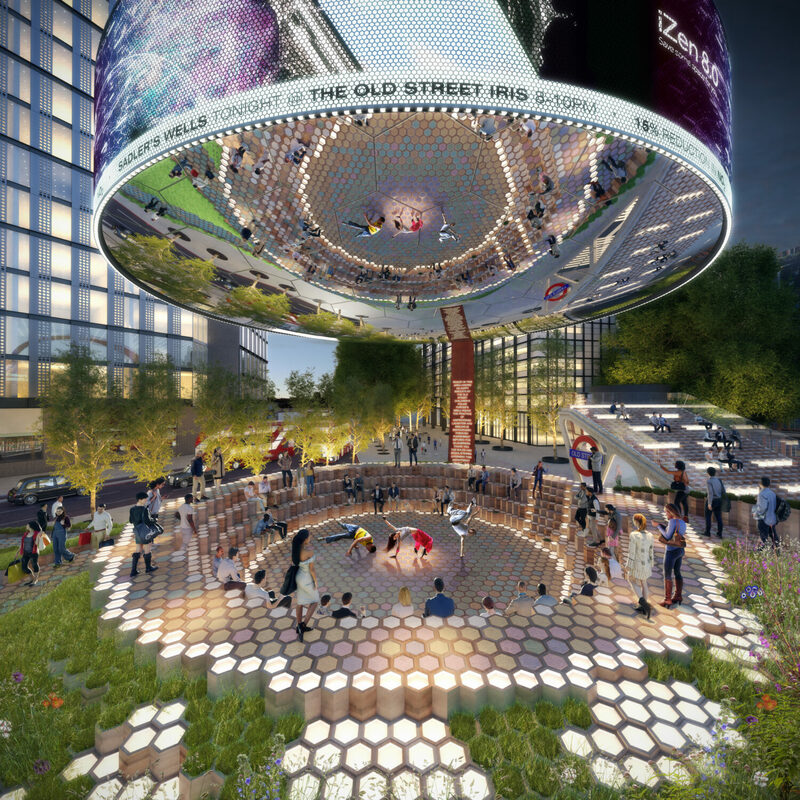 EPR has won the Old Street Iconic Gateway 'Open Call for Design Ideas’ competition launched by Islington Council last December. One of four winning design teams chosen by TFL and Islington Council, the competition called for ‘exciting, bold and iconic’ proposals for a new gateway structure or public artwork reflecting the area’s identity as a hub for digital innovation. EPR’s team of artists, public art curators, smart city tech pioneers, landscape architects, structural engineers and local charities, all worked collaboratively to produce proposals for their ‘metropolitan land art’ titled the Iris which saw off competition from 38 other longlisted design concepts following a public exhibition held in February 2018. Centred on an amphitheatre design which has been conceived as a space for escapism from the busy city, the Iris aims to transform the proposed peninsula into an interactive and inclusive place to gather, perform, meet, play and relax; acting as a beacon for smart city innovation and the iconic gateway of Old Street. Well done to the whole design team; Martin Richman – Artist, Wayfindr – Wayfinding tech company, Modus Operandi – Art curator, Gillespies – Landscape Designer, Entuitive – Structural Engineers, Materials Council – Materials research specialists, Stage One – Specialist Fabricators.